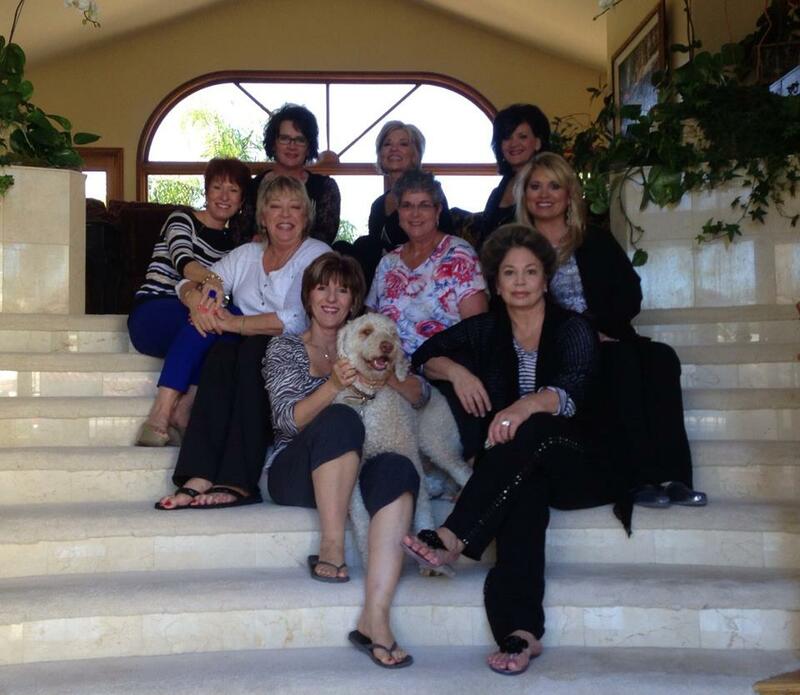 This past weekend, I had the pleasure of spending quality time with some of SeneGence’s leading ladies for the exclusive Most Influential Royalty Weekend at my home in Irvine, CA. Out of thousands of Distributors, each year I select SeneGence’s most Influential Leaders from the Royal Court to come and stay with me; we create, inspire, laugh and learn. In attendance this year were Queen Jeri Taylor-Swade, soon-to-be-crowned Crown Princess Lisa Johnson, Crown Princess Leanne Avant, Crown Princess Sheila Young, Lady Kelly Robertson, Lady Kathy Freeland, Royal Cathy Hoolihan, Maiden Sandy Bates, and SeneGence Director of Distributor Development, Leslie Boyd-Bradley. I had fun treating each to a productive and indulgent weekend complete with scrumptious homemade meals, girlfriend time, art-making, and little surprises here and there. It was an honor to host these ladies for the weekend, as they do so much to grow SeneGence with their sponsoring efforts. This is an accomplished group of women, and I hope they will cherish this memory for a lifetime. I’d love to see you at next year’s Most Influential Royalty Weekend; sign up with us today and start “playing makeup” to earn money, trips, and memories galore! 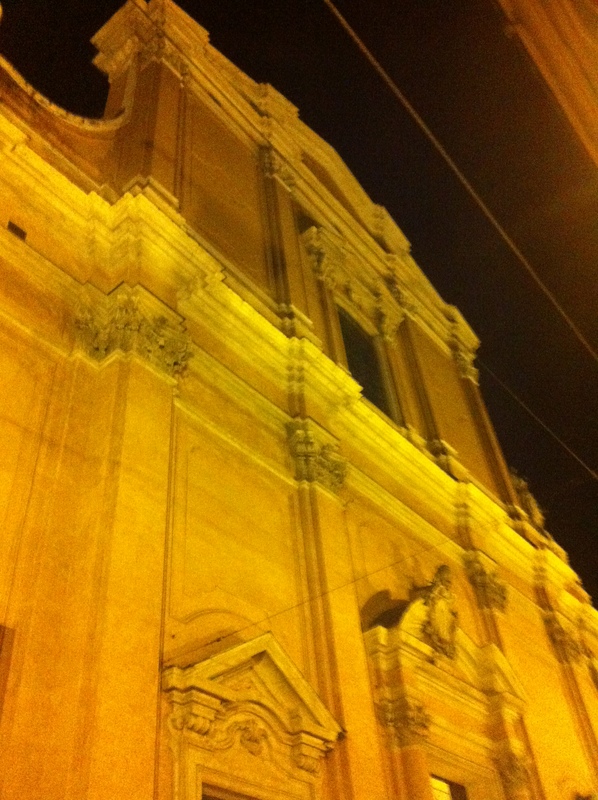 March 12, 2013 Leave a Comment on Ciao Italy! Last week, Ben and I traveled to Bologna, Italy for Cosmoprof, the premier beauty and health show with brands from all over the globe. SeneGence showcased SenseCosmetics and SeneDerm SkinCare, and it was a huge hit! Women from all over the globe were wowed by the staying power, the variety of beautiful shades, and how amazing their skin felt with our cosmetics and skin care. It ensured me even more that we really do have some of the best products on the market, and surely the best long-lasting color cosmetics available anywhere. Even in Italy, we had some Orange County, CA gals coming by our booth and committing to sign up to become SeneGence Distributors after they saw our amazing products and heard about our incredible compensation plan! While working the booth, I was thrilled to learn that my new tablet has a loop or repeat button, so I downloaded “Change the Way You Kiss” (one of our LipSense commercials) and played it all day long; what a fun feature and great idea for tradeshows and events! I decorated our booth with “memosa” flowers, which look like soft yellow feathers. 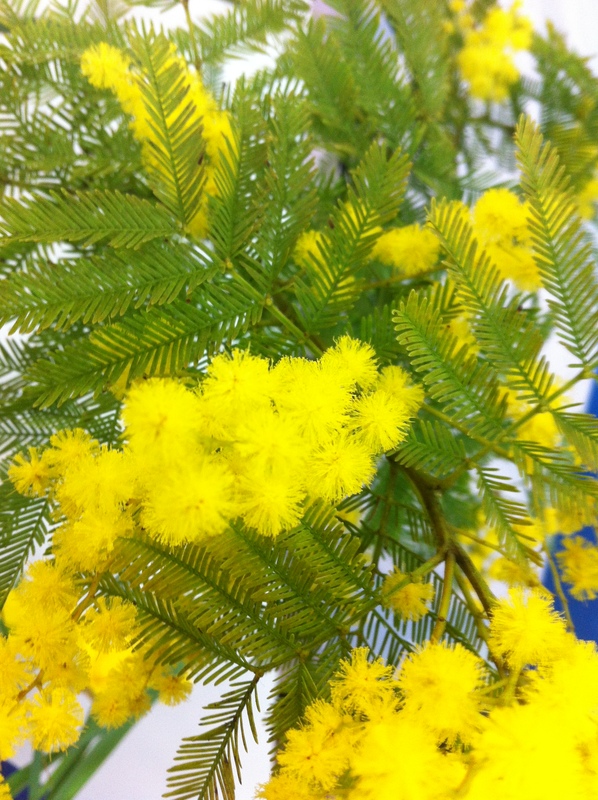 These flowers are gifted to women in Italy on March 8 each year celebrating Women’s Day. 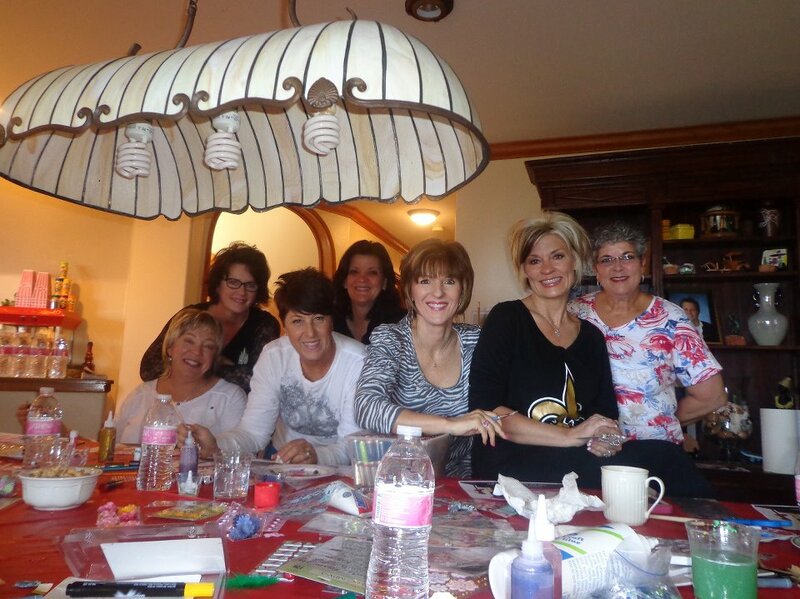 Women of all ages are celebrated…. how lovely! Ben and I also enjoyed all of the culture and beauty Italy has to offer. 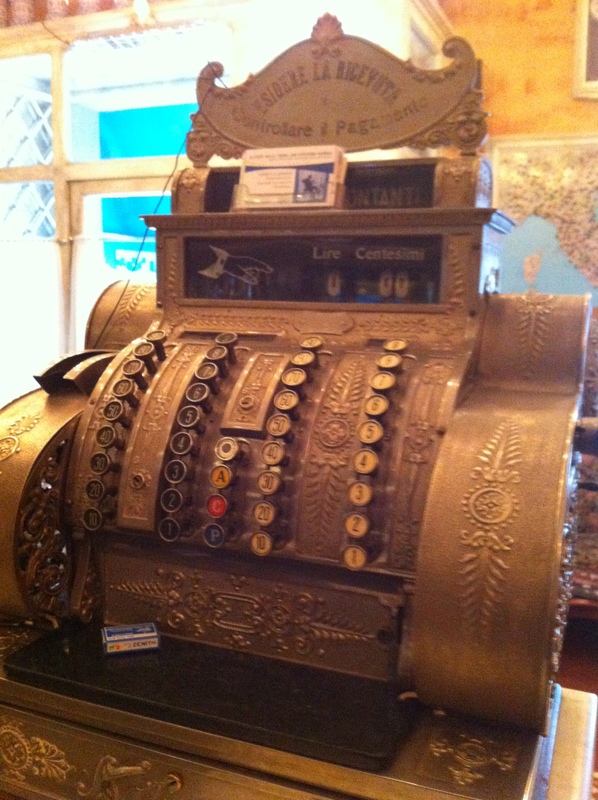 Here is a gorgeous old cash register from the restaurant where Ben and I enjoyed a delicious plate of tagliolini alla bolognese with our taxi driver who recommended the restaurant…great fun! What a fantastic and successful couple of weeks we had in Europe! During our trips to France, Poland, Switzerland, and Italy, Ben and I met wonderful people excited about the future of SeneGence and their involvement in this growing company. We had the pleasure of spending time with our European business partners and Distributors, all who I am confident will help lead the way to making SeneGence a household name in Europe. Now I am back in the States and so happy to see my boys, Alan and William; I missed them so much! March 5, 2013 Leave a Comment on On to Switzerland! Ben and I had a very successful trip to Poland last week, taking part in new Distributor trainings, meetings, and talking to media outlets about long-lasting, liquid LipSense lip color. I feel very confident that the LipSense team in Poland will spread the word about this incredible product and make LipSense a household name. I had a fabulous time meeting new people, sharing ideas, and experiencing the wonderful culture in Poland. This was the view just outside our hotel window; beautiful! Now, we are in Switzerland, meeting with business partners, promoting and talking to people about LipSense, and experiencing the culture here! 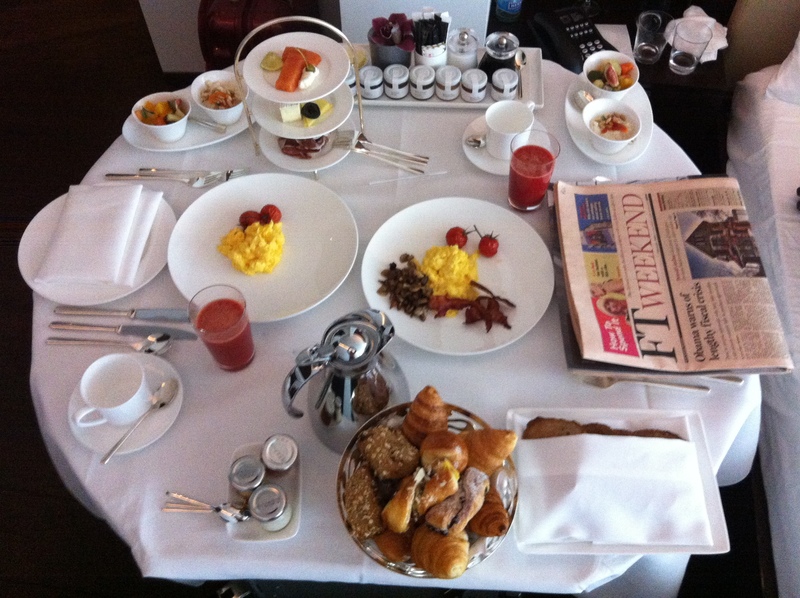 We are staying in Zurich (LIPS Trip 2013 Destination), which so far has turned out to be a gorgeous city. Here I am standing outside our hotel. 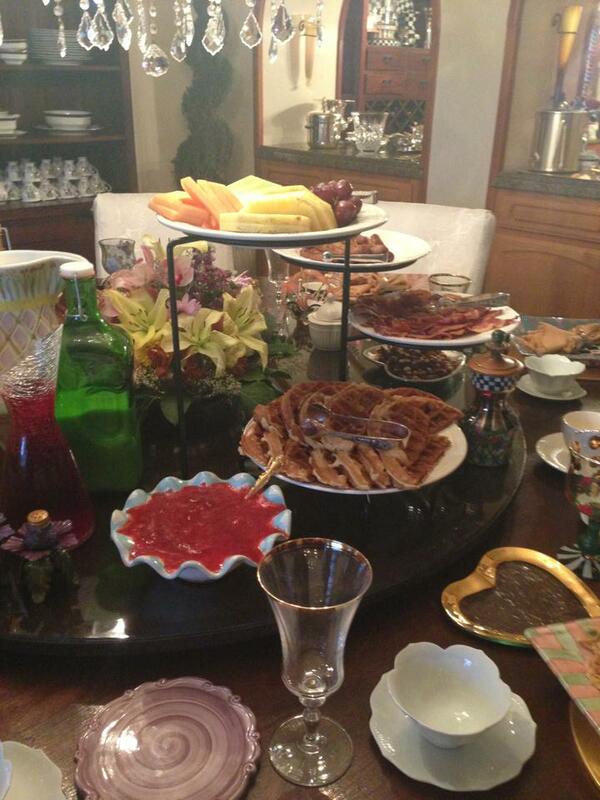 We ate a delicious meal the other day for breakfast: Museli and fruit, breads and jams, cheese, salmon, dried meat, blood orange juice, and coffee. Not quite as adventurous as all of the organ meats I tried in Poland, but very good and still gave me a taste of Swiss cuisine! 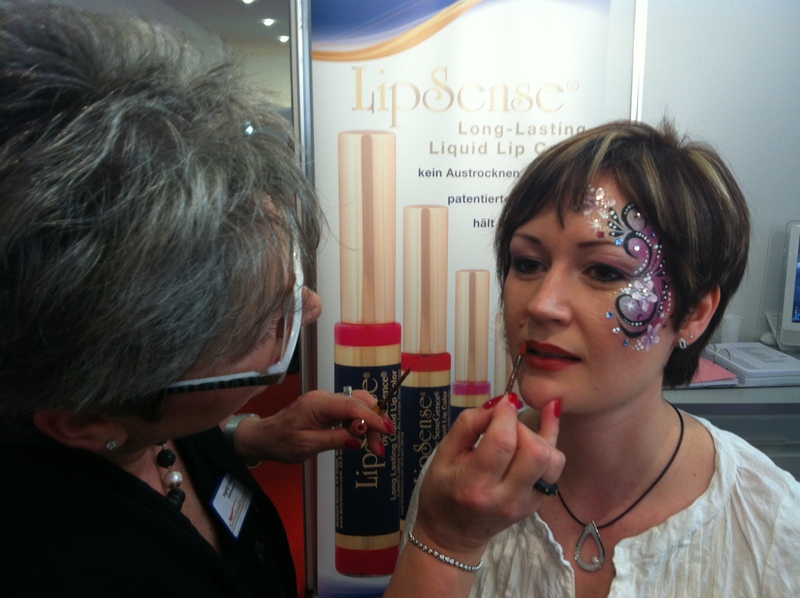 I also was able to attend the Swiss Beauty Show in Zurich, which featured LipSense. It was a pleasure demonstrating LipSense to women who have never encountered a product like it. The “wows” just kept coming! Here I am showing LipSense to some NEW Swiss Distributors! 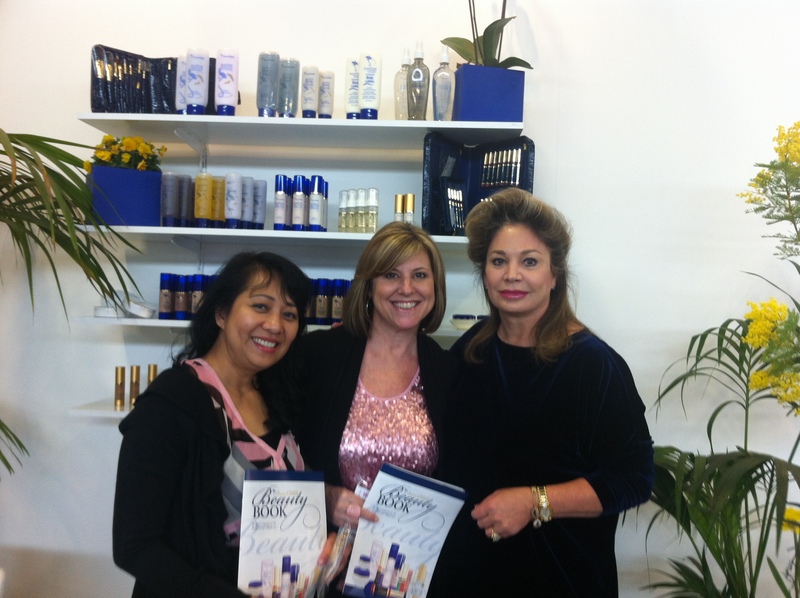 I have especially enjoyed spending time with Hari and Stephanie from SensibleCosmetics. They are a joy to talk to and exchange business ideas with. Here we are in the library of the Dolder Grand Hotel…stunning surroundings! Our European trip has been a booming success so far. The ability to see that our products and career really works transcends borders. No matter where in the world I go, women are always interested in products that do what they say to stay on all day, and improve their skin. They are even more interested in a career as versatile and rewarding as ours. I am excited to be working closely with such fantastic people around the world to share SeneGence with as many people as possible. Together, I know that we’ll conquer more ground in achieving our dream of empowering women and helping them to look and feel more beautiful. Now, Ben and I are on to Bologna, Italy for Cosmoprof 2013! 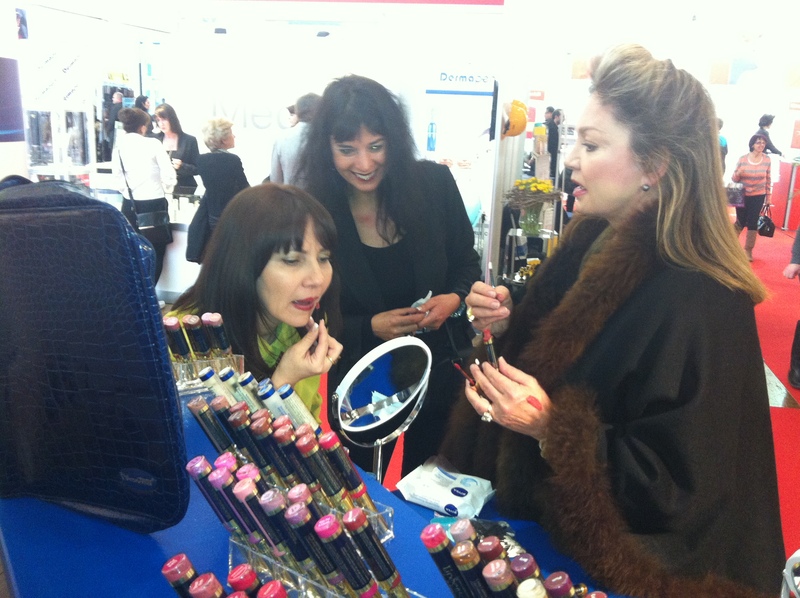 Cosmoprof is THE premier health and beauty tradeshow, and SeneGence is being featured at it. 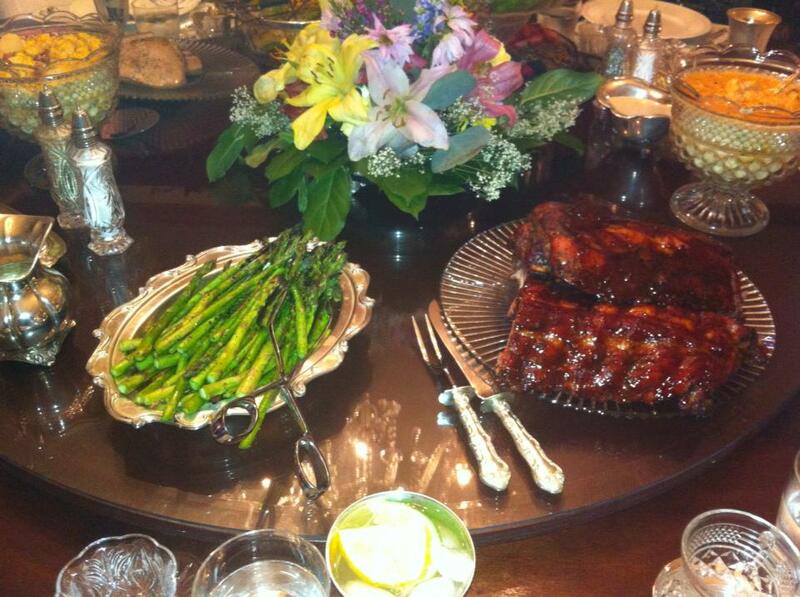 I know our products will be a hit! I’ll be sure to give you a recap after the show. Until next time my Lovelies…choose to live life in love and abundance, then work for it!